3D animation can be used to make gorgeous, sometimes horrific, art. But then there are times when modeling enters into a realm that's hypnotic and sublime. 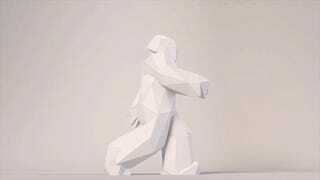 In the video above, titled Walking City, a lone automaton morphs through various forms without breaking it's stride. It's hard to say what's so captivating about it, but it sure is gorgeous to look at.